It’s kind of hard to see the design until you know the title. 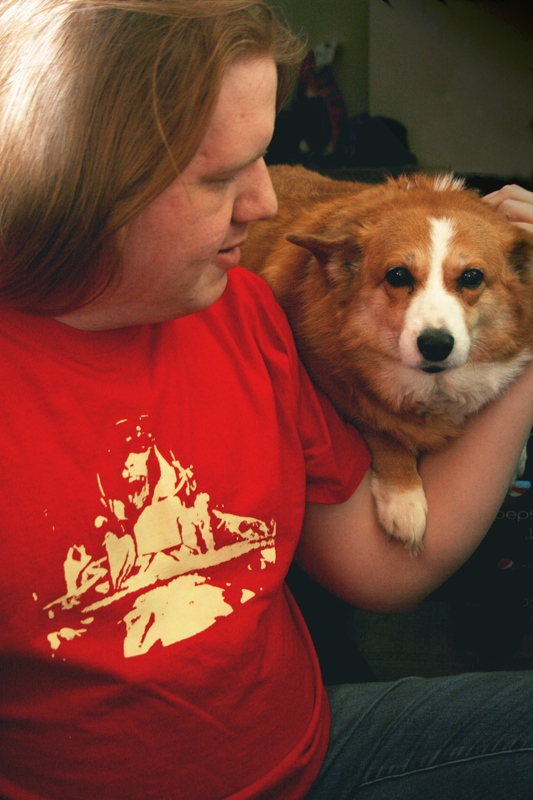 Here Skotte is hanging out with our adorable Pembroke Welsh Corgi mascot. May you all find your own inner space chimp and blast off into whatever land tickles your fancy.